13 different sizes in this pattern, up the hoop size, 360 x 200. Embroidery designs. 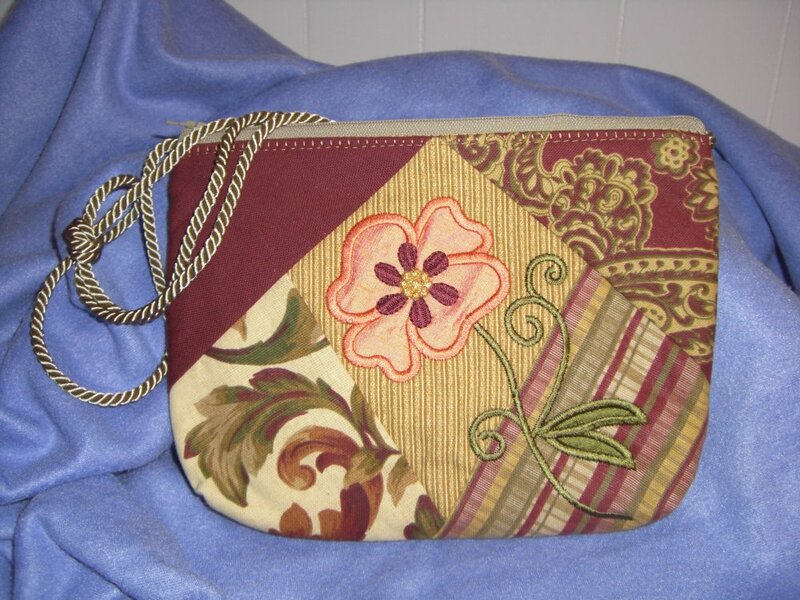 The purses can be made with or with out designs, your choice. A size can be made for just about anyone. The zipper will be put in for you also. Antique looking fabrics make these in the hoop projects appear that Grandma made them several years back. 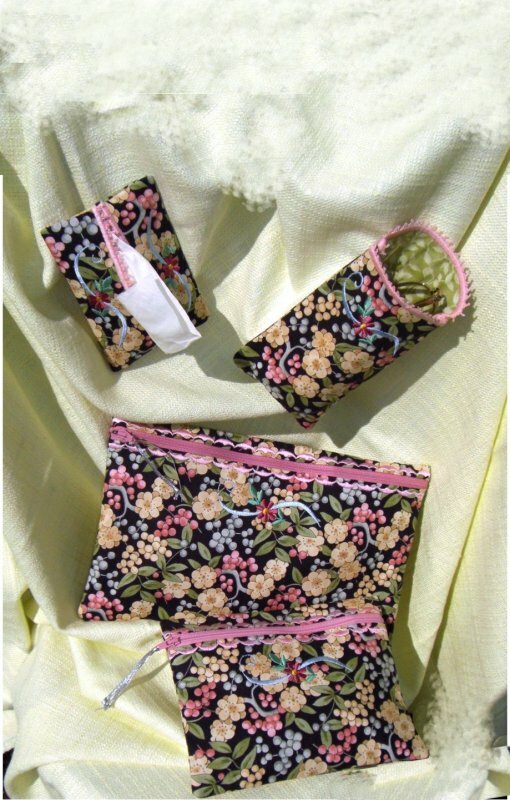 Eyeglass cases, tissue holders, and purses and such, even big enough to carry an I-Pad.